As you get older and more mature, your hairline doesn’t, according to new research released in the Journal of Clinical Investigation. When you’re young, hair falls out and is replaced by new hair. Eventually, this process stops and when your hair falls out, nothing replaces it. Or rather, researchers say, the root cause of baldness isn’t that the hair doesn’t come back, but that the wrong type of hair comes back. 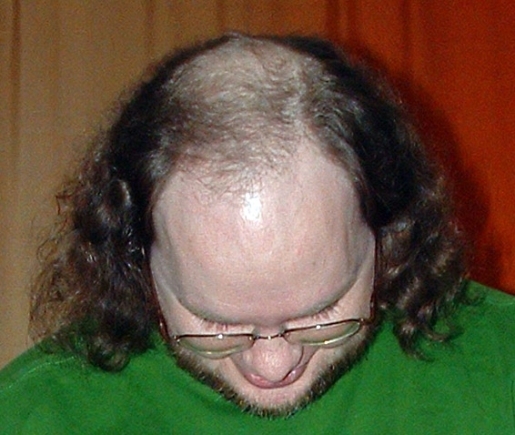 Rather than generating new mature hairs, the cells eventually stop producing mature hair in favor of microscopic immature hairs. The team’s goal is to develop a cream to use to reactivate those dormant stem cells and repair the flaw that causes immature hair development and lack of new progenitor cells. After all, scientists reason, if the same amount of hair-making cells are there, what’s to stop someone from reactivating them and getting them to pump out the right sort of hair again? Not everyone looks good bald.